Back in 2015, we wrote a lengthy article on some of the most futuristic weapon technologies trialed by the US military. 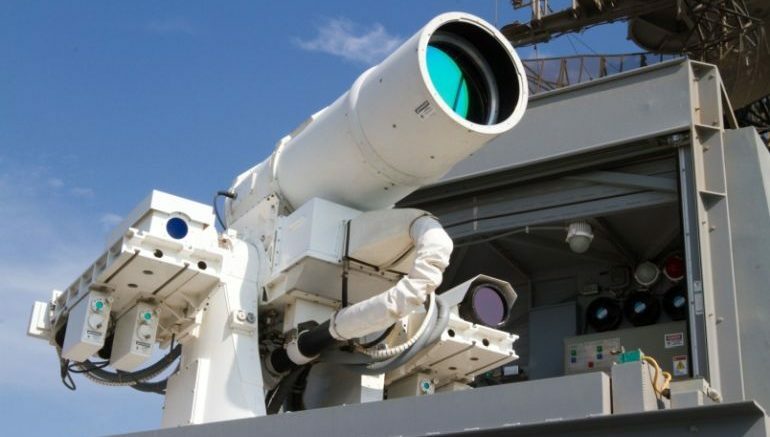 One of the entries, the Laser Weapon System (or LaWS), is actually a more badass version of a laser gun that can blast, and obliterate, enemy drones within seconds. Since its deployment on board the USS Ponce in 2014, the LaWS has undergone several successful tests, including the more recent live-fire test where it was seen blowing up a distant tagret with mind-boggling accuracy. Built as part of a $40 million project, the incredibly advanced weapon system is intended as a short-range counteragent against drones, helicopters as well as fast attack boats. At low power settings, the beam of light can also be used to dazzle approaching enemy fighters, slowing them down without causing any real harm. When turned up to its maximum potential, however, it can generate laser energy of more than 30 kW, which is enough to destroy UAVs and FACs (fast attack craft) within just two seconds. The energetic beam is generated with the aid of a collective power-train of six solid-state welding lasers. Their apertures are combined and focused onto a single point – which results in a dazzling photon burst that can cripple enemy UAVs and even confound the navigational systems of oncoming ships. Unlike conventional projectile missiles, which can rake up hundreds of thousands of dollars in manufacturing, transportation and deployment costs, the LaWS is surprisingly inexpensive at only around 59 cents for each laser shot. According to the officials, the only cost incurred during its operation is the one required for producing the energetic pulses. In keeping with its simple yet innovative design, the defense system boasts a video game-inspired controller that is incredibly easy to operate. Towards the end of 2014, the US Navy installed the LaWS aboard the transport ship USS Ponce stationed in the Persian Gulf, in the hopes of testing its feasibility in less than optimal weather conditions, such as high humidity, heat as well as increased dust. Since then, the developers have managed to further increase the contraption’s efficacy by impressive 35-percent. 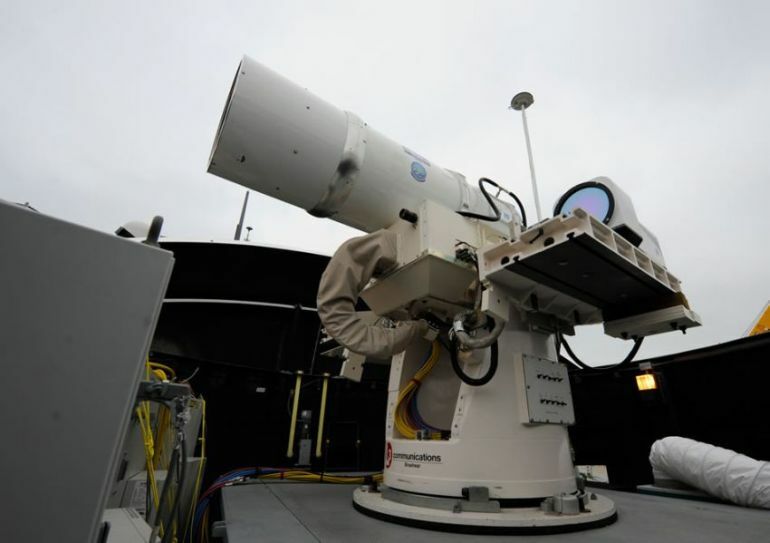 More recently, the Laser Weapon System was seen taking part in a live-fire test, in which it demolished a tiny target several miles way with amazing accuracy in a matter of seconds.